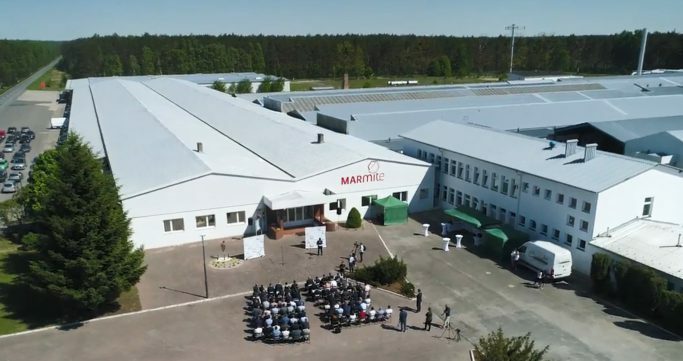 Launch of the new factory in Łowyń • Poznań Marmite S.A.
On the 8th of May 2018 we have been celebrating launch of the new factory in Łowyń which will significantly increase production capacity of Marmite. Our company gained 40.000 meters of production space creating over 200 workplaces for local community. The new production plant in Łowyń is dedicated entirely for production of shower trays. Thanks to this investment we’ll be able to deliver up to 400.000 more shower trays yearly. Launch of the new factory is a large step forward for Marmite.